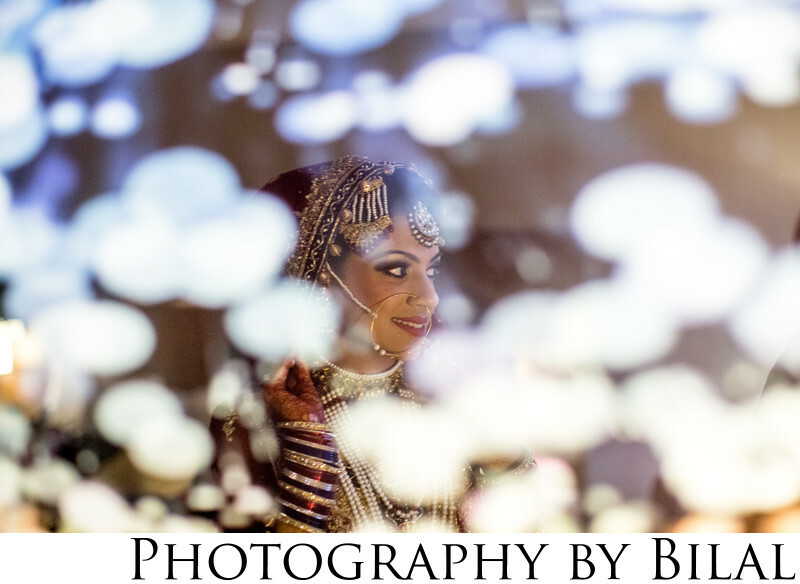 I like to consider myself a unique Pakistani wedding photographer. This image is an example of my uniqueness, this is not something you would typically see for a bridal portrait. This was a picture on a wall that I shot through and instructed the bride to look outside. This was at the Princeton, NJ Hyatt.